How can a national language be considered legitimate when the president of the nation does not believe in it? Alexander Lukashenko has been the authoritarian president of Belarus since 1994. Lukashenko has previously taken a stance that Belarusian is inferior to Russian, saying, “nothing significant can be expressed [in Belarusian].” Belarus, formerly Byelorussian SSR, gained its independence on August 25, 1991. Even though the Eastern European country has been independent for just over two decades, a near-century of soviet influence makes many Belarusians still feel like they are under direct Russian influence. Due to this, there is a stigma in Belarus that anything Belarusian is boring and that Russian is superior. How can a national language be considered legitimate when the president of the nation does not believe in it? Alexander Lukashenko has been the authoritarian president of Belarus since 1994. Lukashenko has previously taken a stance that Belarusian is inferior to Russian, saying, “nothing significant can be expressed [in Belarusian].” Belarus, formerly Byelorussian SSR, gained its independence on August 25, 1991. Even though the Eastern European country has been independent for just over two decades, a near-century of soviet influence makes many Belarusians still feel like they are under direct Russian influence. Due to this, there is a stigma in Belarus that anything Belarusian is boring and that Russian is superior. However, Lukashenko received much attention from Belarusian speakers in 2015 because it appears that he may have changed his mind on his previous stance. For decades, Belarusian speakers have offered language courses to the public, even though Belarusian is not greatly welcomed in state affairs. Much of this is shifting in recent years. There is a large push towards the popularization of Belarusian and an increased number of language courses across the country. Timing could not have been better, as after decades of neglect, the situation is truly alarming. Belarusian, which is an official language of Belarus, can claim just a little over 3 million native speakers. Russian, the other official language of Belarus, has around 6.5 million native speakers and everyone in Belarus appears to be bilingual, which means knowledge of Russian over Belarusian predominates. Although a sizeable part of the population can still speak Belarusian, less than 10% of Belarusians indicate that they use Belarusian to communicate in their everyday life. Structural and cultural proximity to Russian is definitely a factor. Belarusian is an East Slavic language, just like Russian, and the Belarusian alphabet was elaborated based on the Cyrillic script. In the early twentieth century, before modern Belarusian was defined, the language was written using the Latin alphabet, Arabic alphabet, or sometimes even the Hebrew script. Today, two main dialects of Belarusian exist: North-Eastern and South-Western Belarusian, although the area between the two has some distinct characteristics that seems to militate for a Middle Belarusian pseudo-dialect. Another less common dialect in the country, the West Palyesian dialect, is more linguistically linked to Ukraine, and spoken almost exclusively by individuals living in the Ukraine. Since Belarus is not a signatory member of the European Charter for Regional or Minority Languages, there is no international oversight of its regional minority languages. 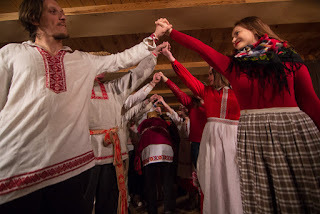 However, Belarusian is considered a regional language in Poland and also a recognized minority language in the Czech Republic, Ukraine, and Lithuania. All but one of these nations being signatories of the Charter, there seems to be at least some hope for continued maintenance and revitalization. A large number of the younger population of Belarus appears to be tired of their culture living in Russia’s shadow. In a direct break with Soviet and 20th century post-Soviet times, they want to revitalize the culture and language of Belarus in order to increase cultural pride and move towards a more distinctive national identity and culture. As it turns out, this excitement and push towards a national revitalization of Belarusian goes farther than just the youth. Many scholars indicate that language courses in Belarusian are emerging everywhere and they are not just for the purpose of teaching the language. It seems that they are also serving as an expression of pride in Belarus that has not been seen for over a century. Predictably enough, language seems to be one of first steps towards cultural revival and revitalization. As a new generation emerges into the workforce that has no memories of Soviet control, it will be interesting to observe what the Belarusian youth decides is most important for language and culture. Will they continue to choose Russian and embrace Soviet-enforced ideas of the superiority of the Russian language? Or will they reclaim their culture and language as they search for their generation’s identity? “Political is daily, cultural is eternal”, says Alena Makouskaya, one of the coordinators of the Belarus language campaign, indicating that Belarusian is considered an emblem and a token of pride. "Belarusian Language." Encyclopedia Britannica. Encyclopedia Britannica, Inc., 06 Mar. 2003. Web. 09 Apr. 2017. "History of Belarussian Language." Europe-Cities. Europe Cities, 2017. Web. 09 Apr. 2017. Minsk, Katerina Barushka in. "After Decades of Russian Dominance, Belarus Reclaims Its Language." The Guardian. Guardian News and Media, 28 Jan. 2015. Web. 09 Apr. 2017. Marshall is a graduate student in European Union Studies at the University of Illinois. He is planning on getting his MA in European Union Studies in May 2018 and is currently applying to law schools to pursue a career in international business law or international human rights/immigration law. He wrote this text in the 418 ‘Language and Minorities in Europe’ course in the spring of 2017.